Abstract: The American Century began in 1941 and ended on January 20, 2017. While the United States remains a military giant and is still an economic powerhouse, it no longer dominates the world economy or geopolitics as it once did. The current turn toward nationalism and "America first" unilateralism in foreign policy will not make America great. Instead, it represents the abdication of our responsibilities in the face of severe environmental threats, political upheaval, mass migration, and other global challenges. 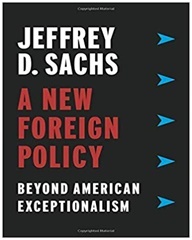 In this incisive and forceful book, Jeffrey D. Sachs provides the blueprint for a new foreign policy that embraces global cooperation, international law, and aspirations for worldwide prosperity--not nationalism and gauzy dreams of past glory. He argues that America's approach to the world must shift from military might and wars of choice to a commitment to shared objectives of sustainable development. Abstract: With many predicting the end of US hegemony, Russia and China's growing cooperation in a number of key strategic areas looks set to have a major impact on global power dynamics. But what lies behind this Sino-Russian rapprochement? Is it simply the result of deteriorated Russo-US and Sino-US relations or does it date back to a more fundamental alignment of interests after the Cold War? 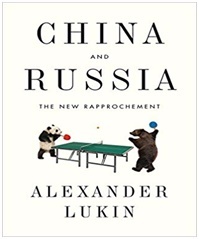 In this book Alexander Lukin answers these questions, offering a deeply informed and nuanced assessment of Russia and China's ever-closer ties. Tracing the evolution of this partnership from the 1990s to the present day, he shows how economic and geopolitical interests drove the two countries together in spite of political and cultural differences. Key areas of cooperation and possible conflict are explored, from bilateral trade and investment to immigration and security. Abstract: Capitalist globalisation since the 1980s has produced immense benefits in terms of technical progress, poverty reduction and welfare improvement. However, it has been accompanied by profound contradictions, including ecological destruction, global warming, inequality, concentration of business power, and financial instability. Regulation of global political economy in the interests of the majority of the world’s population is essential if the human species is to avoid a Darwinian catastrophe. This book explores China’s rich history of regulating the market in the interests of the mass of the population. For over two thousand years the Chinese bureaucracy has sought pragmatically to find a Way in which to integrate the ‘invisible hand’ of market forces with the ‘visible hand’ of ethically guided government regulation. Abstract: This book presents the series of lectures on the "Belt and Road Initiatives" from the Guang Ming Forum organized by Guang Ming Daily. 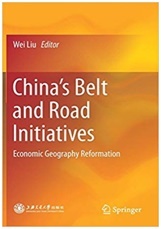 Co-authored by Ge Jianxiong, Hu Angang, Lin Yifu, Qiao Liang and nine other respected scholars and experts, it provides a comprehensive analysis of the "Belt and Road Initiatives" and its significance in terms of economics and economic geography, yielding an insightful interpretation of the strategy. It also offers multiple perspectives, including national political, historical, military, diplomatic, cultural, technological and legal. Abstract: The evolution of the People's Republic of China in world politics is an epic story and one of the most important developments in modern world history. Yet to date, there are no authoritative histories of China's foreign relations. 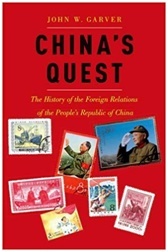 John Garver's monumental China's Quest fills this lacuna and draws from memoirs by Chinese leaders and diplomats, including those written by several foreign ministers, as well as significant new archival material. Garver situates the history of PRC foreign relations in a central drama of the 20th century: the rise and fall of Communist ideology. 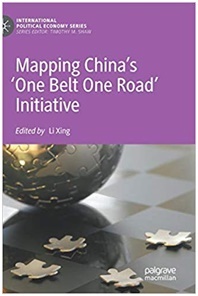 This new and revised edition includes an additional chapter and new analysis, which address China's strategies in the aftermath of the Western economic crisis, Xi Jinping's embrace of assertive nationalism, the "China Dream" and restoration of China's leading global status, and the "One Belt, One Road" and "communities of common destiny" initiatives. The summation of Garver's fifty-year study of Chinese foreign relations, China's Quest is an expansive and conceptually powerful resource for everyone interested in China's role in the world. 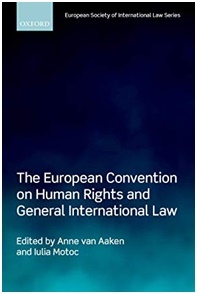 Abstract: This book applies a justice framework to analysis of the actual and potential role of international law with respect to people on the move in the context of anthropogenic climate change. That people are affected by the impacts of climate change is no longer doubted, including with implications for people movement (migration, displacement, relocation, etc.). Climate Change and People on the Move tackles unique questions concerning international responsibility for people movement arising from the inequities inherent to climate change. 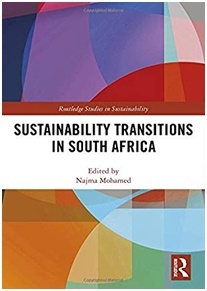 Abstract: The book sees the changing climate not only as an environmental problem but as a societal challenge and discusses the governance challenges from an interdisciplinary social science perspective across different levels: local, state, and national. Discusses also the challenges and opportunities for increasing the resilience of the society through effective governance around climate change. A top down approach to govern climate change adaptation may not yield desired outcomes; instead the book emphasizes the need to integrate issues of equity, into climate governance and polices. 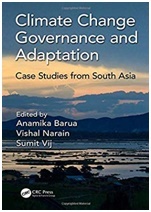 The lessons learned from different cases across South Asia help readers have a better and deeper understanding of the relationships between governance and climate change. 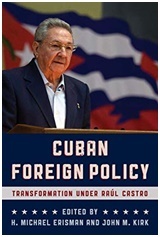 Abstract: This volume illustrates the sweeping changes in Cuban foreign policy under Raúl Castro. Leading scholars from around the world show how the significant shift in foreign policy direction that started in 1990 after the implosion of the Soviet Union has continued, in many ways taking totally unexpected paths—as is shown by the move toward the normalization of relations with Washington. Providing a systematic overview of Cuba’s relations with the United States, Latin America, Russia, Europe, the Middle East, Asia, and Africa, this book will be invaluable for courses on contemporary Cuban politics. 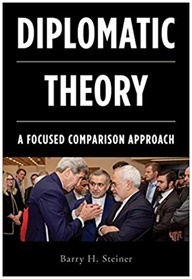 Abstract: This book is intended as a primer for generalizing on a case-comparison basis about diplomatic statecraft, including resources and techniques available to states to attain their objectives. Twenty years in the making, it employs an inductive method in which small samples of cases occurring at different times and between different states are studied to track and understand specific variable diplomatic behavior. Its concern with empirically-grounded generalization, in which hypotheses are formulated and tested by case similarities and differences, is a new approach to diplomatic analysis. Diplomacy, though central to international relations study and practice, has generally been studied normatively rather than theoretically, in contrast to other international relations topics. Abstract: The book explores the proactive and reactive features of China and India's domestic and foreign policies to address two intertwined challenges: first, China and India have taken policy measures that accord with their own domestic priorities; second, both countries have had to alter the trajectory of their proactive policy measures as a result of external pressures. The book argues that China and India's proactive and reactive policy measures to address energy insecurity and climate change have been shaped by their two-level pressures. At the domestic/unit level, both countries have had to sustain fast economic growth and eradicate poverty in order to maximize their economic wealth. At the international/systemic level, both countries have sought to enhance their great power status in the international system which is characterized by not only asymmetrical interdependence but also global governance in general, and global energy and climate governance in particular. Abstract: The European Union was created for the purpose of encouraging peace on the continent, but today is increasingly active globally in areas such as diplomacy, development, humanitarian and consular aid, and civilian and military crisis management. Yet we know little about the forces that drive the Union to interact, influence and intervene outside its borders. 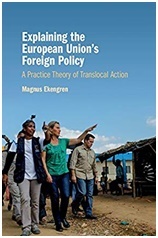 This book offers a new theoretical perspective that explains how EU collective action is driven by practice, such as diplomatic routines and crisis management procedures. Using global case studies, Ekengren shows how the EU's representatives perform these routines, or transnational practices, across particular 'locales' around the globe, from Kosovo to Haiti. Abstract: This book analyses the fast spread of free trade agreements (FTAs) across the globe, their content and their economic impact. In the wake of Brexit and the new protectionism of President Trump, Melchior offers a timely assessment of key issues relating to FTAs. Dividing the world into seven major regions, he analyses world trade, the globalisation of FTAs and their role within and between the regions. Using a new world trade model, he then presents new evidence on the impact of trade agreements, the value of trade, the impact of China’s growth and the West’s industrial decline, and the role of reciprocity in trade policy. Covering rich and poor countries, commodity exporters and all of the world’s regions, he offers new and original insights about a number of pertinent issues facing today’s world. 14. 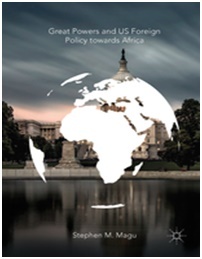 Great powers and US foreign policy towards Africa / Magu, Stephen M - Switzerland: Palggrave Macmillan, 2019. 15. 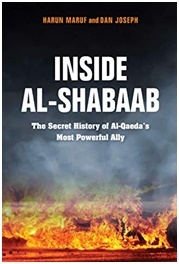 Inside Al-shabaab: the secret history of Al-Qaeda's most powerful ally / Maruf, Harun - Indiana: Indiana University Press, 2018. Abstract: One of the most powerful Islamic militant groups in Africa, Al-Shabaab exerts Taliban-like rule over millions in Somalia and poses a growing threat to stability in the Horn of Africa. Somalis risk retaliation or death if they oppose or fail to comply with Al-Shabaab-imposed restrictions on aspects of everyday life such as clothing, media, sports, interpersonal relations, and prayer. Inside Al-Shabaab: The Secret History of Al-Qaeda's Most Powerful Ally recounts the rise, fall, and resurgence of this overlooked terrorist organization and provides an intimate understanding of its connections with Al-Qaeda. Drawing from interviews with former Al-Shabaab militants, including high-ranking officials, military commanders, police, and foot soldiers, authors Harun Maruf and Dan Joseph reveal the motivations of those who commit their lives to the group and its violent jihadist agenda. Abstract: Media interest in the fates of people at sea has heightened across the last decade. The attacks and the hostage taking of victims by Somali pirates, and the treatment of migrants and asylum seekers in the Mediterranean, ask pressing questions, as does the sinking of the Costa Concordia off the Italian island of Giglio which, one hundred years after the Titanic capsized, reminded the world that, despite modern navigation systems and technology, shipping is still fallible. Do pirates have human rights? Can migrants at sea be turned back to the State from which they have sailed? How can the crews of vessels be protected against inhuman and degrading working and living conditions? And are States liable under international human rights treaties for arresting drug traffickers on the high seas? Abstract: This edited volume addresses the issues of Iraqi Kurdistan’s political economy with historically grounded, theoretically informed, and conceptually relevant scholarship that prioritizes comparative politics over international relations. 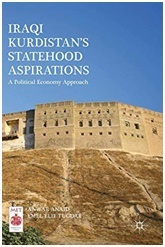 The book seeks to explore the dynamics of Iraqi Kurdistan at the stage of referendum for independence from a political economy perspective within its own debates, conflicts, and interests. Overall, the authors contribute to these debates by exploring key questions in novel ways, focusing on comparative methodology that serve to expand the scope of scientific inquiry and place it into more solid understanding. Abstract: The book is a comprehensive and analytical examination of Islam and politics in a rapidly changing and globalizing world. Its case studies provide overviews of the development and interaction of Islam and politics in North America, Europe, and the Middle East, and across Asia and Africa. Taken together, these essays provide readers with an illuminating and in-depth overview of the state of political Islam today. Abstract: The Security Council, the all-powerful UN body for maintaining world peace, remains mired in its World War II origins. The victors, the US, Russia, China, Britain, and France, continue to control it with their permanent membership and the veto. Their confrontations emasculated the Council during the Cold War and their cooperation spawned questionable military actions thereafter. The book traces the origins of international security cooperation and scrutinizes the moorings of the Security Council's powers in international law. 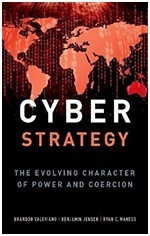 It critiques the permanent five's manipulation of the Council to aggressively strengthen their global dominance and legitimise their exercise of power. Their doctrines and actions in countries like Iraq, Yugoslavia, and Libya have hindered the Council's evolution as a responsible body which has the trust of a globalising world. Abstract: This book sets out to analyze how the OBOR initiative will influence the world’s geo-political and geo-economic environment, with specific regard to the ‘Belt and Road’ countries and regions. It evaluates what opportunities the OBOR can offer them in light of the constraints they face, paying particular attention to how security issues may keep some nations from fully participating. Questions are also asked about the tension and conflict along the ‘Belt’ and ‘Road’, which, after all takes in the Middle East’s most tumultuous regions, as well as the much disputed South China Sea. Finally, consideration is given as to how the world’s other economic powers will react when the OBOR inevitably brings about capital and resource competitions. Abstract: The book begins with the 2011-2012 uprising that captured the world's attention before turning to an overview of modern Egyptian history. The book then focuses on present-day Egyptian politics, society, demography, culture, and religion. It analyzes Egypt's core problems, including deepening authoritarianism, high unemployment, widespread poverty, rapid population growth, and pollution. The book then concentrates on Egypt's relations with the United States, Israel, Arab states, and other world powers. 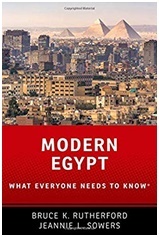 Modern Egypt concludes by assessing the country's ongoing challenges and suggesting strategies for addressing them. Concise yet sweeping in coverage, the book provides the essential background for understanding this fascinating country and its potential to shape the future of the Middle East. 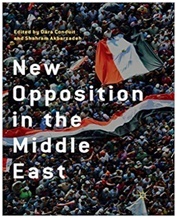 Abstract: This book uses a Contentious Politics lens to examine patterns of contestation since 2009 and 2011 among the Middle East's most important opposition actors. 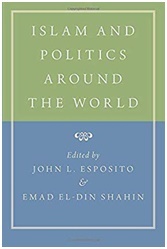 The volume is comprised of seven chapters that ask questions in relation to the responsiveness of opposition groups to their political environments, the long-term legacies of authoritarianism, and whether the post-2009/2011 political environment is better or worse for Middle Eastern oppositions. 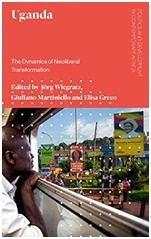 It interrogates the ways in which oppositions have morphed in relation to this changed operating environment, subjectively interpreting the costs and benefits of contestation in order to maximise political opportunities. To some oppositions, changes in the power balance between regime structures and opposition agents led to unprecedented opportunity for political action, while for others, structures were galvanised to restrict opposition activities. 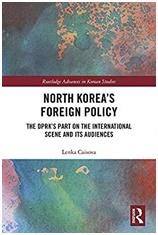 Abstract: This book analyses North Korean foreign policy since 1994, aiming to better understand the part the DPRK plays in international politics. Pyongyang is the country’s capital and largest city. To the north and northwest, the country is bordered by China and by Russia along the Amnok and Tumen rivers; it is bordered to the south by South Korea, with the heavily fortified Korean Demilitarized Zone separating the two. Nevertheless, North Korea, like its southern counterpart, claims to be the legitimate government of the entire peninsula and adjacent islands. Both North Korea and South Korea became members of the UN in 1991. Abstract: The South Asian Association for Regional Cooperation (SAARC) nations are bounded through a common desire for growth and prosperity and have to integrate for the benefit of their people. 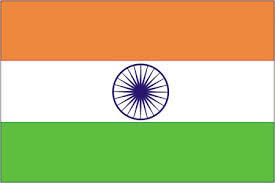 India is the natural leader in South Asia and therefore, has to recalibrate its outreach towards its neighbours. The South Asian context cannot be completed without understanding China's rise and its impact on the globe and the South Asian region. The monograph has used several papers, articles, articulations in seminars and various publications on India's attempt to recast its relations in South Asia and based its recommendations on relevant interpretations. The international relation is a dynamic process and the only constant is the 'change'. 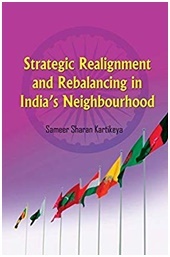 The monograph gives the historical perspective of SAARC and India's relation with each of the member states and provides a deep understanding of its relations with its immediate neighbours. Abstract: This edited collection aims to analytically reconceptualise the Syrian crisis by examining how and why the country has moved from a stable to a war-torn society. It is written by scholars from a variety of disciplinary backgrounds, all of whom make no attempt to speculate on the future trajectory of the conflict, but aim instead to examine the historical background that has laid the objective conditions for Syria’s descent to its current situation. Their work represents an attempt to dissect the multi-layered foundation of the Syrian conflict and to make understanding its complex inner workings accessible to a broader readership. The book is divided into four parts, each of which elaborates on the origins and dynamics of today’s crisis from the perspective of a different discipline. 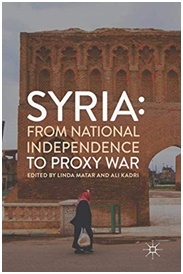 When put together, the four parts provide a holistic picture of Syria’s developmental trajectory from the early twentieth century through to the present day. Abstract: This second edition explores and accounts for the many changes in the emerging markets of China and the Latin American countries since 2011. Taking account of major developments such as the rapid expansion of the Chinese state and the on-going effects of the global recession, the authors present current case studies and data on both Chinese and Latin American companies, including updates on those included in the first edition and the presentation of new innovative start-ups. 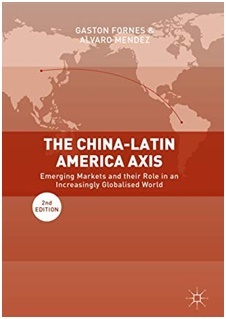 Including an international relations perspective alongside business strategy and global markets, The China-Latin America Axis second edition presents the drastic changes in the globalized economy in the past five years. 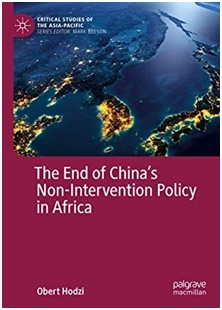 Abstract: This book gives a compelling analysis and explanation of shifts in China’s non-intervention policy in Africa. Systematically connecting the neoclassical realist theoretical logic with an empirical analysis of China’s intervention in African civil wars, the volume highlights a methodical interlink between theoretical and empirical analysis that takes into consideration the changing status of rising powers in the global system and its effect on their intervention behaviour. Based on field research and expert interviews, it provides a rigorous analysis of China’s emergent intervention behaviour in some key African conflicts in Libya, South Sudan and Mali and broadens the study of external interventions in civil wars to include the intervention behaviour of non-Western rising powers. posed special problems, namely sources, interpretation, jurisdiction, state responsibility and immunity. Abstract: This book addresses the EU’s potential to become a more joined-up global actor in its external engagement. It uses a single and innovative analytical framework to examine three clusters of policies: EU internal sectoral and cross-cutting policies with long-standing external engagement, those which have been undergoing considerable change, and originally internal policies whose external dimensions are comparatively more recent. 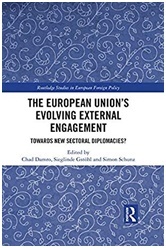 It identifies key explanatory factors for the emergence of (certain forms of) EU external engagement and identifies patterns of the evolving relations between EU internal and external sectoral policies. 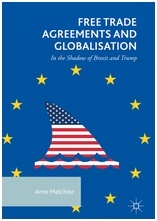 As such, the book examines and assesses exciting new empirical and theoretical research avenues into European integration studies and offers insights into the extent to which the EU may be considered a more joined-up global actor developing sectoral diplomacies. Abstract: The fifth edition incorporates new and fully updated coverage of issues including relations with the major powers and with other post-communist states, international security issues including arms control issues and grounds for sanctions and intervention, and domestic and regional issues related to natural resource politics, human rights, Islamism and terrorism.perspective. 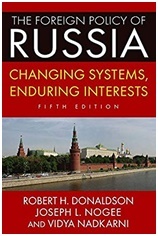 Chronologically organized chapters highlight the continuities of Russias behavior in the world since tsarist times as well as the major sources of change and variability over the revolutionary period, wartime alliances and cold war, dtente, the Soviet collapse, and the first post-communist decades. 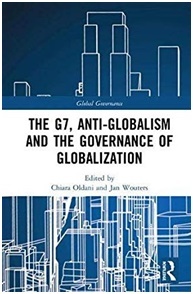 Abstract: The G7, a self-selected club of like-minded industrialized countries, looks at first glance ill-suited to address current anti-globalist concerns. Despite this, it has successfully confronted anti-globalization, populist and protectionist pressures by focussing on concerns surrounding the destruction of the natural environment, immigration, transnational crime, drugs, disease and terrorism, thus demonstrating the social and ecological advantages that globalization brings. 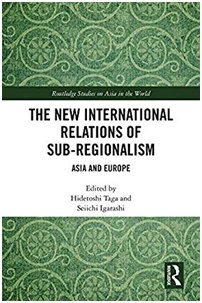 Abstract: This book focuses on sub-region as a new social unit of international society. It is based on the findings obtained through meticulous fieldwork and joint studies conducted over the past 10 years by about 20 researchers, primarily from Japanese universities and Chiang Mai University, Thailand. The sub-regions described here are mostly international cross-border spaces or units in the interior of a certain region, which include: multiple states, states and parts of states, or more than two parts of states (often referred to as micro-regions). Such sub-regions have been formed in various parts of the world since the end of the Cold War. However, studies on sub-regions remain unexplored in the existing studies of regionalism. The few studies that do exist mainly focus on the economic aspects of sub-regions. 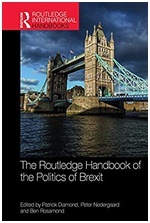 Abstract: The Book takes stock of what we know in the social science community about the Brexit phenomenon so far and looks to make sense of this remarkable process as it unfolds. The book asks simple questions across a range of areas and topics so as to frame the debate into a number of navigable subdiscussions, providing structure and form to what is an evolving and potentially inchoate topic. As such, it provides a systematic account of the background for the content of and the possible implications of Brexit. Abstract: The growing importance of Central and Inner Asia and the Silk Road is much discussed at present. 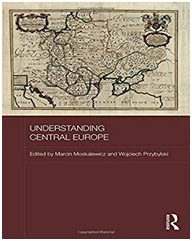 This book compares the nature of present day networks in these regions with the patterns of similar connections which existed at the time of the Mongol Empire in the thirteenth century and its successor states. It considers settlement patterns, technology and technology transfer, trade, political arrangements, the role of religion and the impact of the powerful states which border the region. 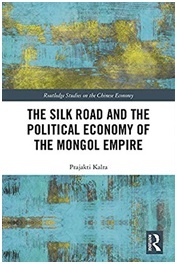 Overall, the book demonstrates that the Mongol Empire anticipated many of the networks and connections which exist in the region at present. 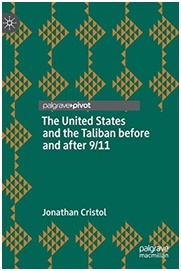 Abstract: This book tells the story of the United States’ relationship with the Taliban from the start of the Taliban movement until its retreat from Kabul in the face of the US invasion of Afghanistan in 2001. The US and the Taliban held countless meetings, but could never come to a workable arrangement, and this book examines both why diplomatic recognition was so important to the Taliban government and why the US refused to recognize it. It presents a concise, readable, and interesting perspective on US/Taliban relations from the fall of Kabul in 1996 until the fall of Kabul in 2001. Abstract: This book addresses the change in US nuclear foreign policy by focusing on three core categories of identity, inequality, and great power narratives. Building upon the theoretical paradigm of critical constructivism, the concept of the ‘state’ is problematised by focusing on identity-related questions arguing that the ‘state’ becomes a constructed entity standing as valid only within relations of identity and difference. Focusing on postcolonial principles, Pate argues that imperialism as an organising principle of identity/difference enables us to understand how difference was maintained in unequal terms through US nuclear foreign policy. Abstract: For the last three decades, Uganda has been one of the fastest growing economies in Africa. Globally praised as an “African success story” and heavily backed by international financial institutions, development agencies, and bilateral donors, the country has become an exemplar of economic and political reform for those who espouse a neoliberal model of development. The neoliberal policies and the resulting restructuring of the country have been accompanied by narratives of progress, prosperity, and modernization and justified in the name of development. Abstract: “Central Europe” is a vague and ambiguous term, more to do with outlook and a state of mind than with a firmly defined geographical region. In the immediate aftermath of the collapse of the Iron Curtain, Central Europeans considered themselves to be culturally part of the West, which had been politically handicapped by the Eastern Soviet bloc. More recently, and with European Union membership, Central Europeans are increasingly thinking of themselves as politically part of the West, but culturally part of the East. Abstract: This volume offers a counter-intuitive and original contribution to the understanding of the global circulation of knowledge. 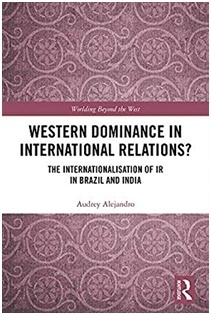 In contrast to the literature, it argues that the internationalisation of social sciences in the designated 'Global South' is not conditioned by the existence of a presumably 'Western dominance'. Indeed, although discriminative practices such as Eurocentrism and gate-keeping exist, their existence does not lead to a unipolar structuration of IR internationalisation around 'the West'. Based on these empirical results, this book reflexively questions the role of critique in the (re)production of the social and political order. Paradoxically, the anti-Eurocentric critical discourses reproduce the very Eurocentrism they criticise.